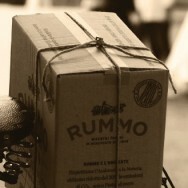 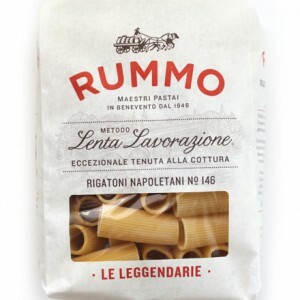 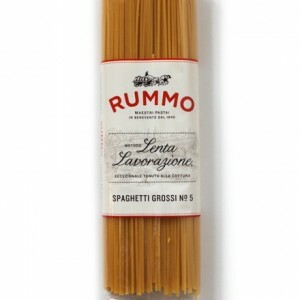 Since 1846 the Rummo family has been perfecting the art and science of pasta making. 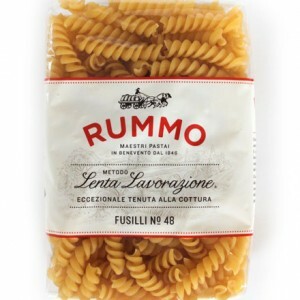 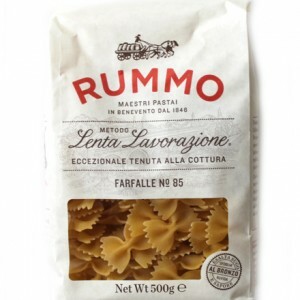 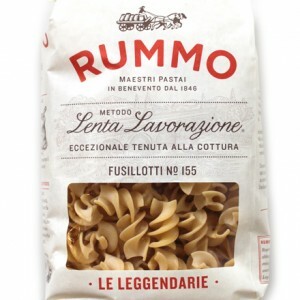 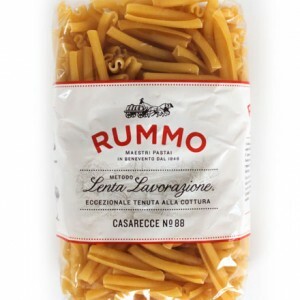 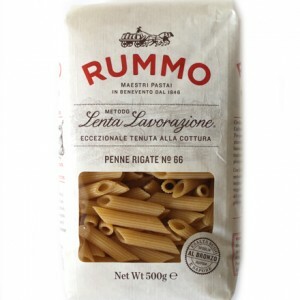 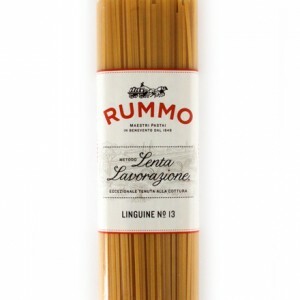 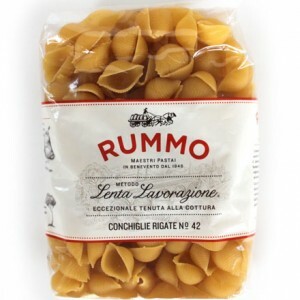 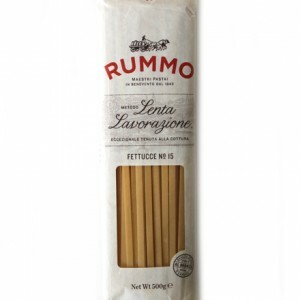 Based in the Campania region of Italy, Rummo uses select durum wheat semolina flour and the purest water from the Valle del Sannio to produce their Lenta Lavorazione pasta. 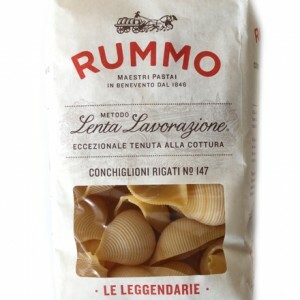 Lenta lavorazione or “slow working” is a method of production that uses slow kneading to guarantee the right protein content in the pasta dough, making the pasta firm, resilient and al dente every time. 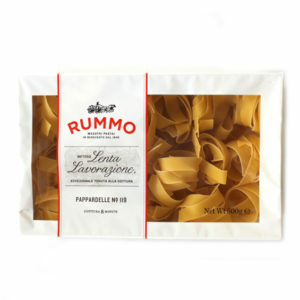 Rummo’s consistent quality from one cut to the next makes it one of our favourite brands.